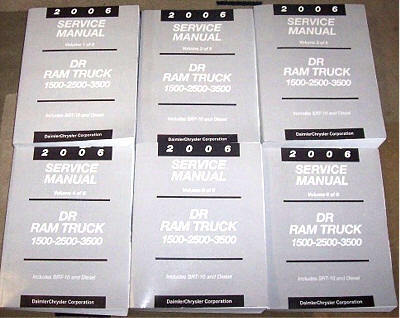 EB-SM2006-SERV-CD/TD Dodge RAM 1500/SRT-10 Complete 'Service' & 'Parts' Manual's 2006 in CD or USB Thumb Drive format. Covers everything the Book manuals cover. See above. 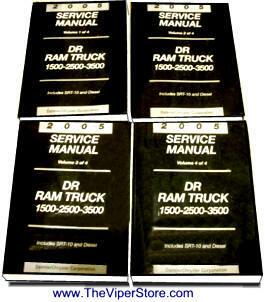 Those Manuals are the same as the manuals used by Authorized Service Centers to repair your car. Service Manual contains detailed instructions and step by step diagrams for all workshop procedures. Everything from basic inspections and adjustments to rebuilding the engine, as well as electrical diagrams, torque settings, fluid capacities, and more. 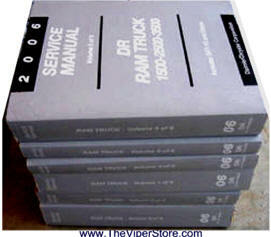 Full set of 2004 Book Service manuals Used in very good condition. 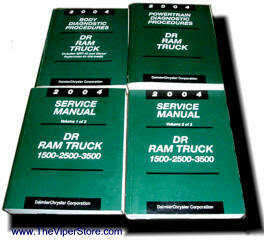 EB-SM2005-SERV-CD/TD Dodge RAM 1500/SRT-10 Complete 'Service' & 'Parts' Manual's 2005 in CD or USB Thumb Drive format. 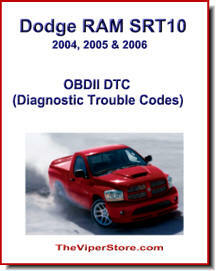 EB-SM2004-CD/TD Dodge RAM 1500/SRT-10 Complete 'Service' & 'Parts' Manual's 2004 in CD or USB Thumb Drive format. Over 900 OBII diagnostic trouble codes and what they mean.